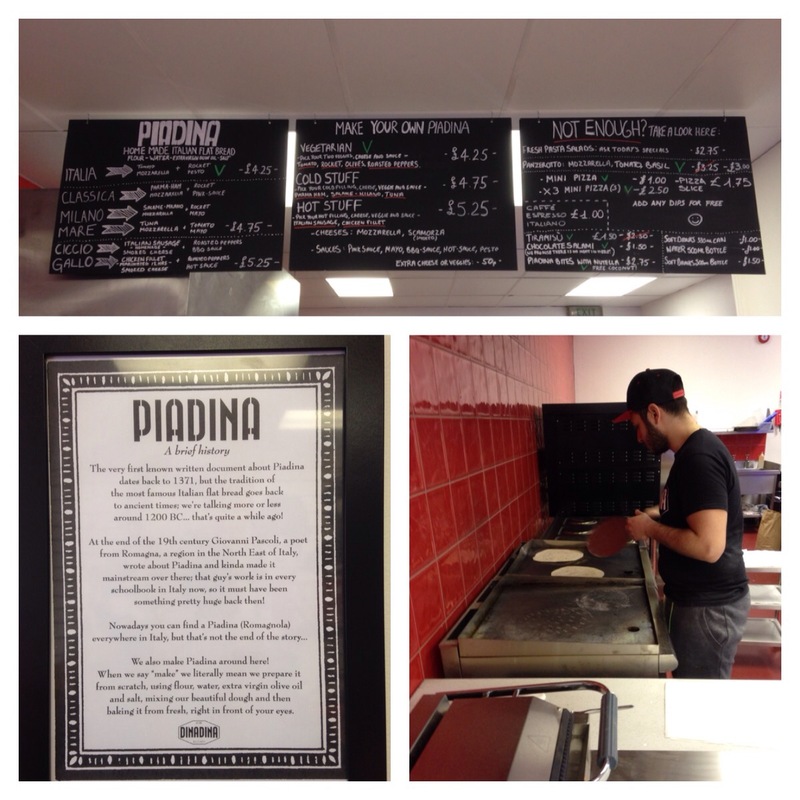 I stopped by Dina Dina to try their Piadina and was very impressed. This eatery is not like anything in Belfast!!! 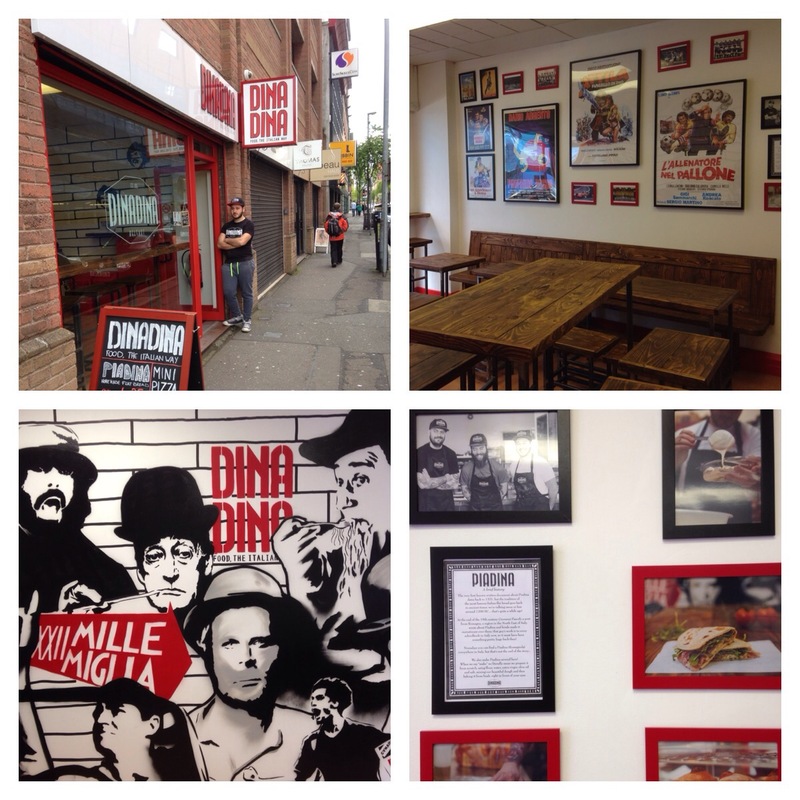 I would describe it as an Italian Bakery styled diner. There is a wonderful aroma of freshly baked/cooked bread. This is complimented by a very clean, tidy and modern wooden dining area,with counter/display unit and an open kitchen. 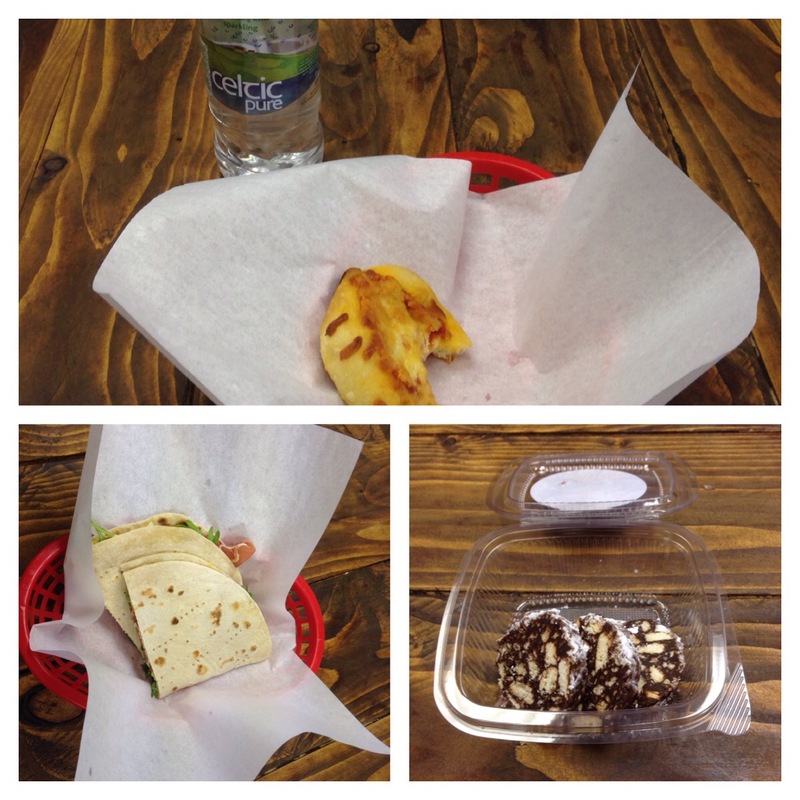 So what is Piadina? 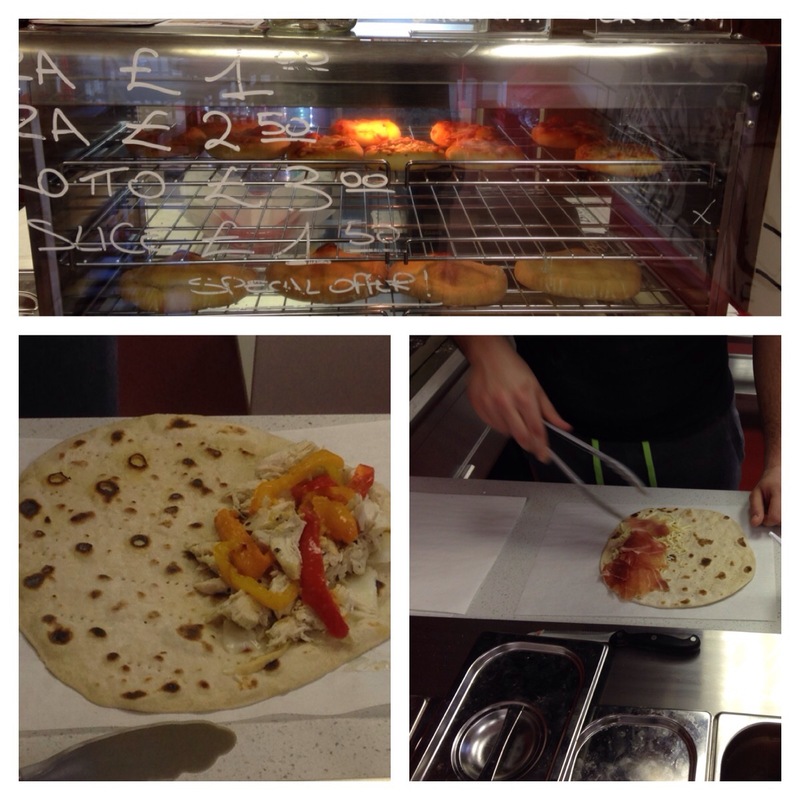 Piadina is a flat bread made with strong (00) flour, water, extra virgin olive oil and salt. It is unleavened and cooked on a hot plate, not dissimilar to an Indian chappati or roti. It’s lighter than even the thinnest of pizza bases and has no yeast so it’s not very heavy. Also the fillings are all freshly sourced authentic Italian produce (except the salads and sauces). The bread is cooked on the hot plate and fillings added to one half, before the bread is folded over and served in a basket. I started with a mini pizza (mozzarella and tomato) £1, bottle sparkling water £1, classica piadina (Parma ham, mozzarella, rocket and cocktail sauce) £4.75 and to finish chocolate salami (3 pieces of chocolate/biscuit cake- no meat!!!) £1.50. The food smelt and looked delicious and tasted even better. The pizza was light and fluffy, the piadina was out of this world-I could really taste the bread, mozzarella and the cocktail sauce really complimented the Parma ham and rocket. The Parma ham was “melt in your mouth”. I also tried the homemade Italian pork sausage (which has a dash of red wine in it) and the chicken which is cooked in Italian herbs. The chocolate salami was nice and sweet and just enough to round off a three course meal with a drink for under s tenner!! The location is slightly off the beaten track but it’s well worth finding. It’s open 6 days a week. Great stuff guys and best wishes.